* Pin slides into the cotton roll so it cannot roll away or pop out. 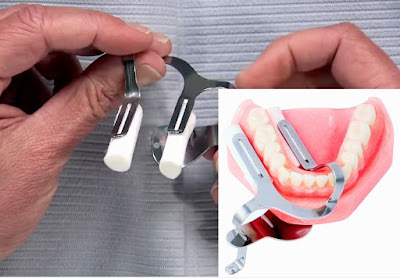 * Sliding chin clamp keeps the holder in place on every patient. Fully sterilizable in adult or child sizes. One right-side and one left-side holder per set, two holders total.